If you've ever tried to capture a shot of a squirrel on camera, you'll know the only time they seem to be still for long enough is when they're either eating or sleeping. They're certainly faster than my shooting abilities can keep up with. 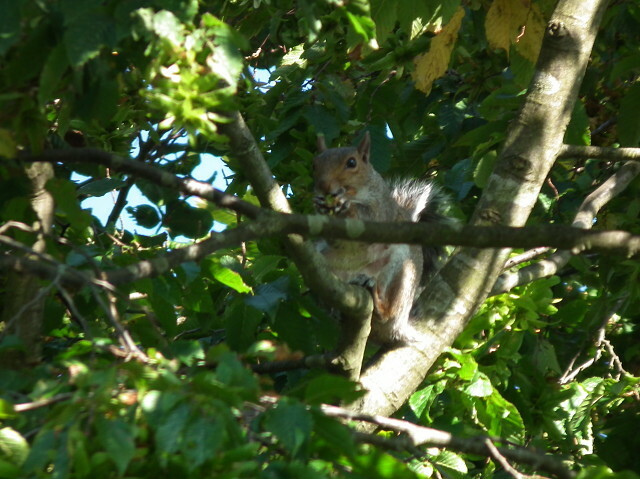 This one was enjoying a beech nut high above the tent, so I took the opportunity.